WHIZZER AND CHIPS: Sweeny Toddler fights Big Daddy! Sweeny Toddler fights Big Daddy! 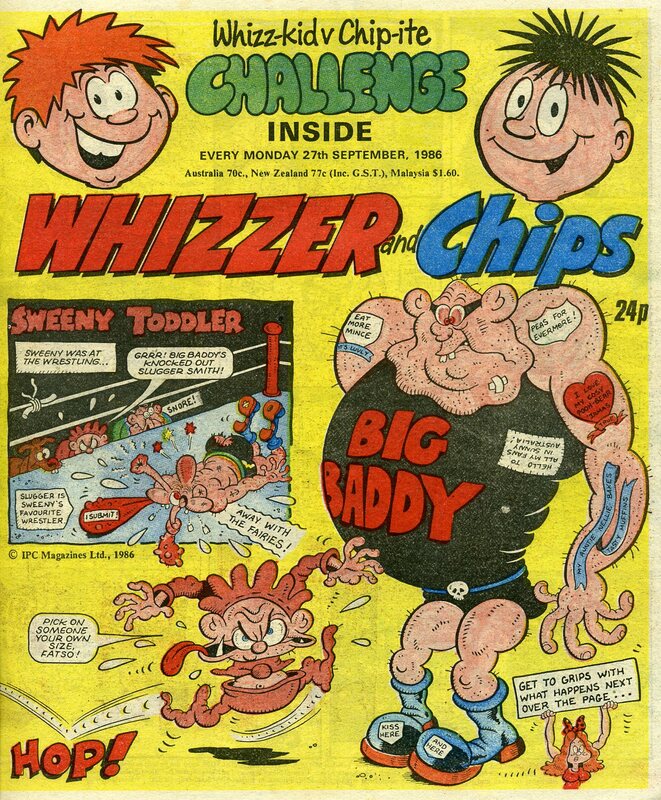 Over on Kazoop, Irmantas has posted this wrestling themed Sweeny Toddler strip, where he gets face to face with Big Daddy (who also appeared in a much friendlier form in Buster)! Click on the pictures, and then again for maximum size! One of mine. Sweeny beats the bully. Yay!